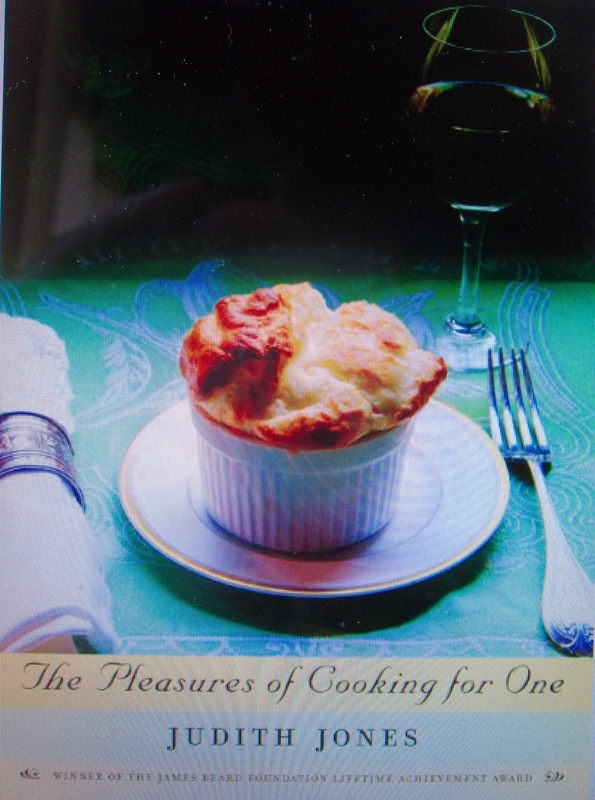 One day, during the decade I was a caterer, cooking instructor, and food writer in New York (’86-’96), I got an inspired idea: I would write a cookbook for singles called Cooking for One. I knew there were thousands – maybe millions! 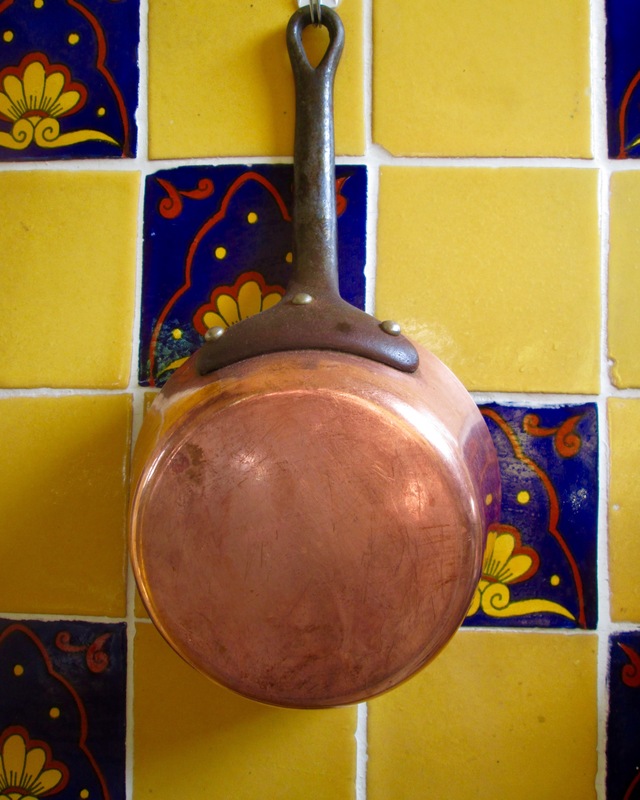 – of us singles living in the City who would benefit from having the skills to cook well for ourselves, rather than resorting to Chinese takeout or a pint of Häagen-Dazs for dinner every night, as so many did. I was excited. I was on a mission. I thought it through. I wrote a careful, detailed book proposal. I sent it to a number of literary agents in Manhattan. In no time their responses arrived in the mail. To a person, they said in essence: No, thanks! Not for me. Cooking for ONE? Too, too DE-PRESS-ING! So I had to abandon that idea. Timing is everything, as we all know. And fame helps a lot too, to be sure — in the book publishing business as elsewhere. 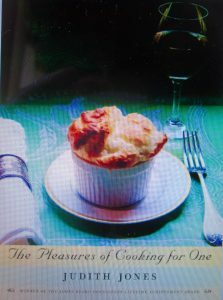 In 2009, about twenty years after I floated my inspired idea, Judith Jones — famous for being Julia Child’s editor, among many other cookbook and literary authors’ editor in her fifty-year career as an editor at Alfred A. Knopf in New York — published her own cookbook, The Pleasures of Cooking for One (Knopf). Over time, in making those recipes “that work for one,” Jones fashioned this gem of a cookbook. In it she covers the usual categories, of course: poultry, meat, fish, soups, eggs, cheese, veg’s, salads, sauces, rice, pasta, grains, legumes, treats, and sweets (plus “special indulgences”), but with a twist. Knowing the challenges of shopping for one, she suggests ways of repurposing a cut of meat, let’s say, by making an entirely different dish from it the next night or the next (what she calls its second, and sometimes third, round). The single cook is apt to resist buying an avocado because any leftover portion turns brown so quickly when refrigerated. But if you keep the uneaten part intact – that is, leave the skin on and the pit in place – and rub the cut surface with lemon juice, then wrap the piece tightly in plastic wrap, it will keep for several days in the fridge. And a nice avocado always adds interesting flavor and texture, so don’t deny yourself. Perhaps the prospect of cooking for yourself and eating alone is indeed depressing to young singles in the City who’d much prefer other options. But for older women, especially, who no longer have a family to cook for and who might be tempted to skip “that old chore” in favor of nibbling on this and snacking on that, learning smart strategies for cooking delicious and pleasurable meals for our solo selves may well make for longer, healthier, and happier lives. I like to think that writers never really die as long as our words live on in some form. Certainly that’s true of Judith Jones in her wise and wonderful cookbook, The Pleasures of Cooking for One. Jones’s living voice comes through on each page.